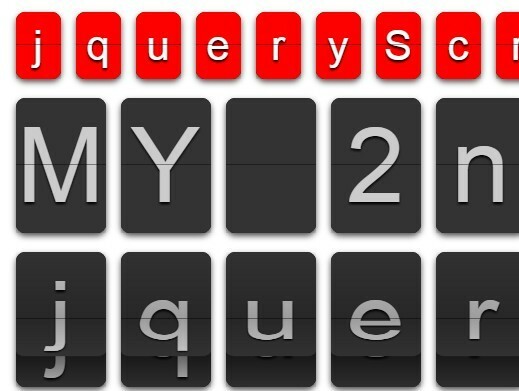 All the Free jQuery Plugins about 'Flip' are listed here. 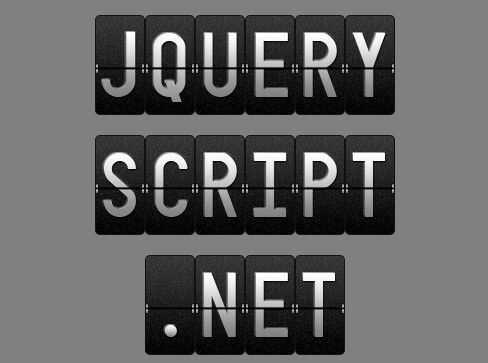 The jQuery imgFlip plugin enables you to flip & mirror images horizontally and/or vertically using CSS3 transforms (for modern browsers) and CSS filters (for legacy browsers). 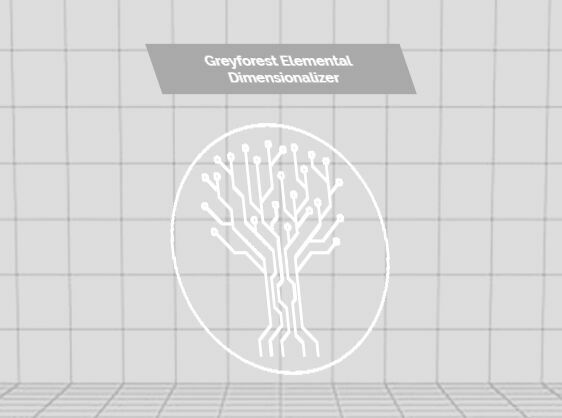 The Elemental Dimensionizer jQuery plugin applies a CSS Transform based interactive rotate/flip effect to any HTML object that reacts to mousemove and touchmove events. 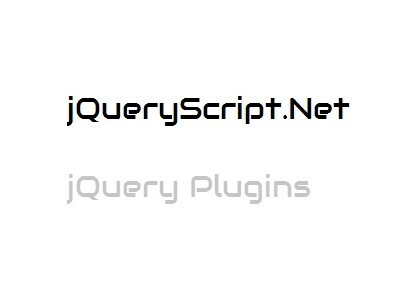 justFlipIt is a lightweight jQuery plugin that allows you to implement CSS3 based flip animations on any DOM elements. 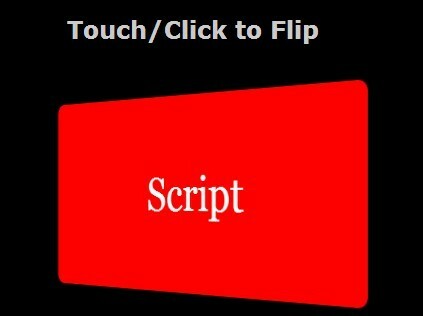 Flip.js is a lightweight jQuery plugin that applies 3D flip animations to DOM elements using CSS3 and a little jQuery magic. 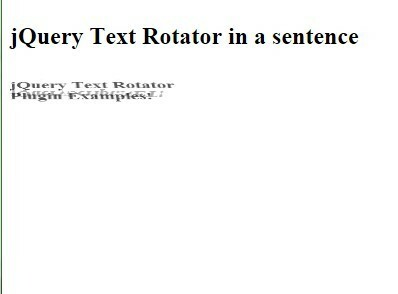 Just another jQuery & jQuery UI based flipper plugin which allows you to rotate an Html element using CSS3 3D transforms. 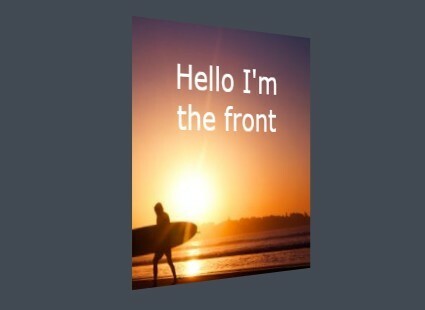 flipLightBox is a responsive and easy-to-use jQuery lightbox plugin that comes with image flip effect and navigation functionality. 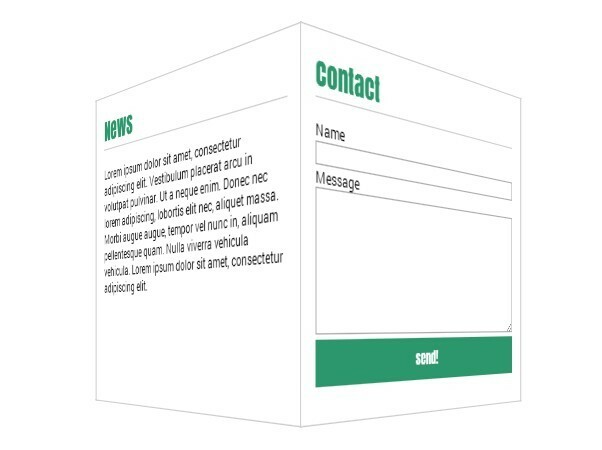 Annalka is a lightweight and CSS less jQuery plugin used for flipping between multiple text messages with a random character transformation effect during changes. Makes use of CSS3 transforms / transitions and a bit jQuery to create a cool 3D flipping circle which is great for online invitation cards. 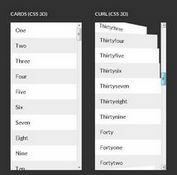 M Flip is a lightweight jQuery plugin that makes it easy to create the 'flip' effects using CSS3 3D transforms. 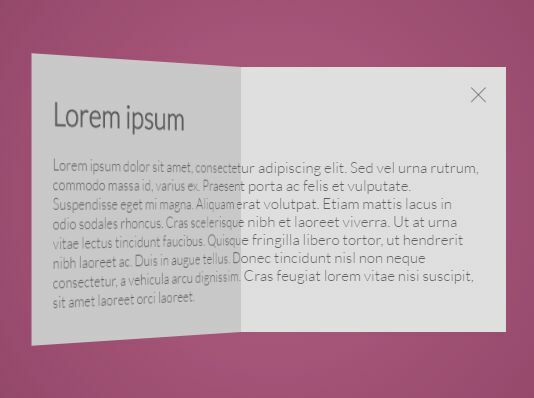 turnBox.js is a jQuery plugin that enables you to create 3D flip / rotate animations for boxes and cards using CSS3 perspective and 2D / 3D transforms. 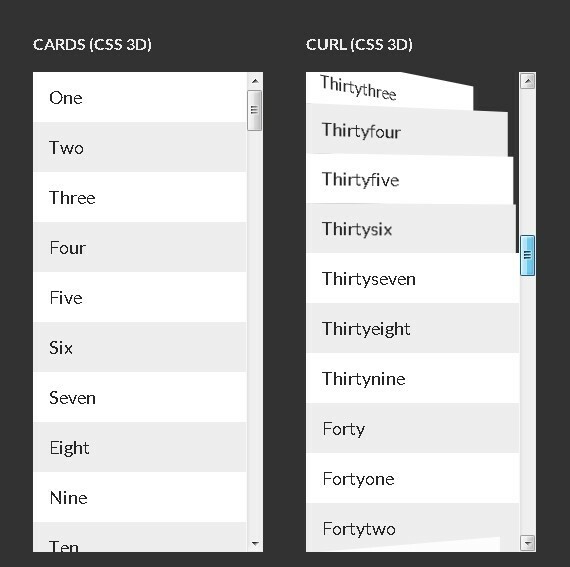 Cover3D is a super tiny (~2kb unminified) jQuery plugin used to create 3D cover flip animations using CSS3 rotate and translate transforms. 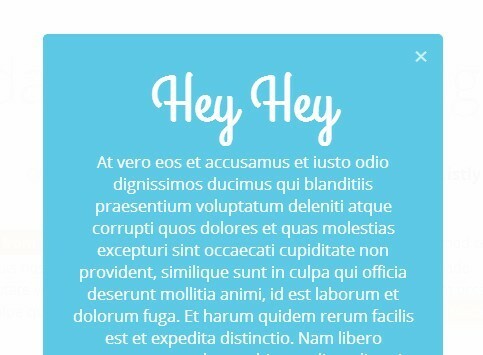 bFlipText is a jQuery plugin which utilizes CSS3 magic to create retro looking flip effect on given text like the split flap display. 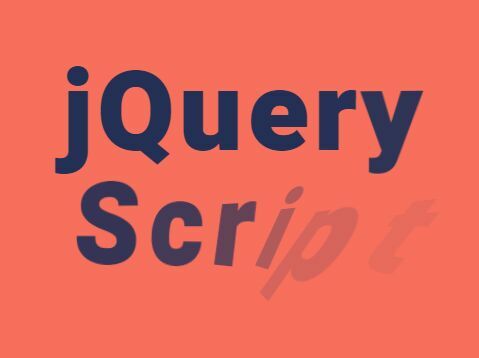 A jQuery plugin used to animate in a set of DOM elements sequentially with fade or flip effects powered by CSS3 transitions and transforms. 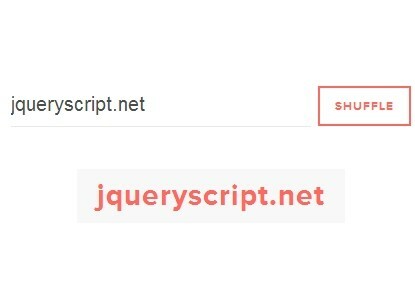 menuFlip is a fast and simple jQuery plugin that allows you to create flipping navigation menus. 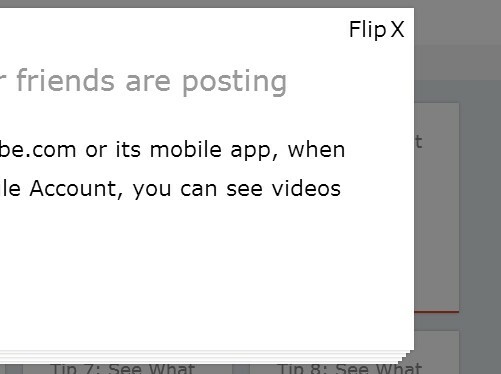 The flipped links have a class of ‘flipped_item’ by default so can style as you like. 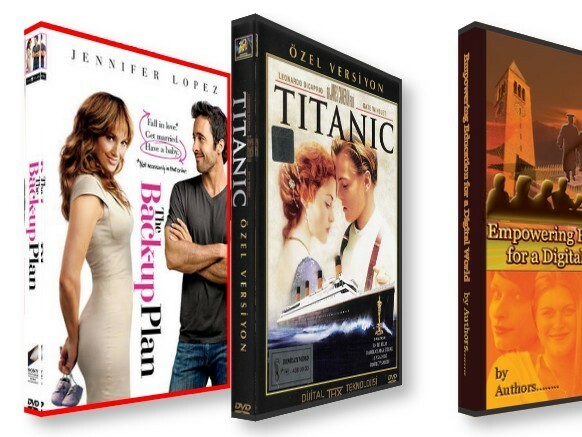 OneBook3D is a jQuery plugin which allows you to create a responsive, flexible, beautiful image slider/slideshow with cool 3D pageflip effects. 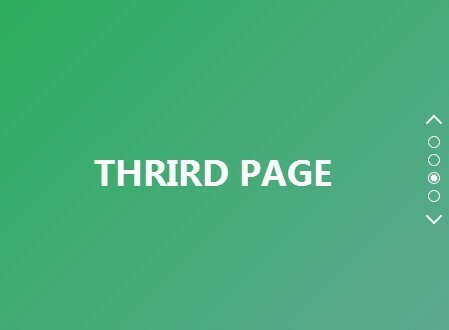 Rocket Page Flip is a stylish jQuery slider plugin which allows you to navigate between Html elements with 3D flip effects. 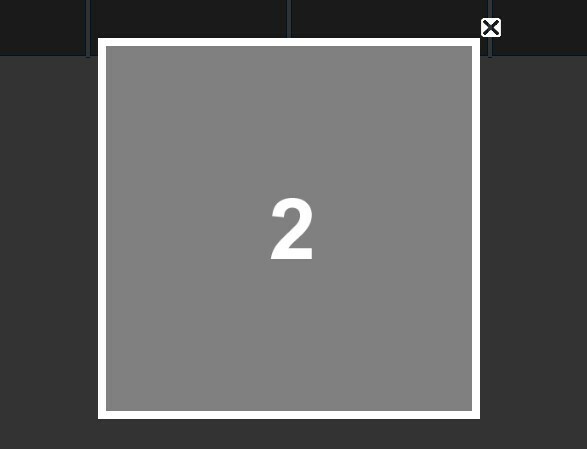 A cool jQuery & CSS3 based slideshow plugin which allows to cycle through a list of images with subtle 3D rotating/flipping effects. 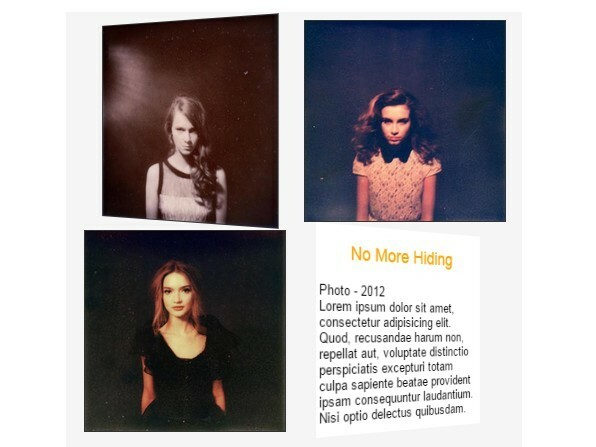 Flipper is a super tiny jQuery plugin to create image flip effect by rotating the front and back elements using CSS3 transitions and transforms. 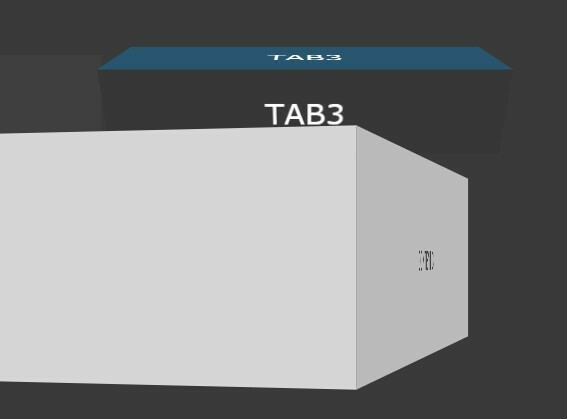 An animated 3D flipping cube content slider with navigation, built on top of jQuery and CSS3 transitions & transforms. darktooltip is a jQuery and CSS3 based tooltip plugin for creating highly configurable, themeable and animated tooltips on any html elements. 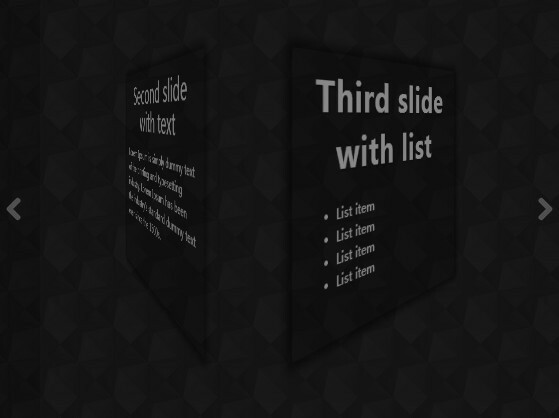 A small and cool jQuery plugin for creating a responsive & fullscreen presentation that allows you to slide through a set of Html contents like an 3D rotating cube. 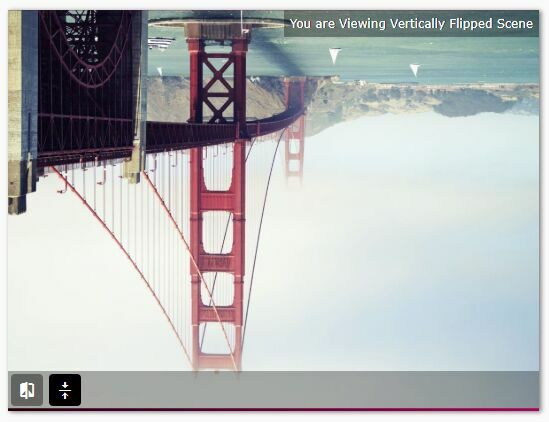 flipGallery is a lightweight and easy-to-use jQuery plugin for creating a photo gallery with image flipping effects and fullscreen overlay lightbox enlargements. 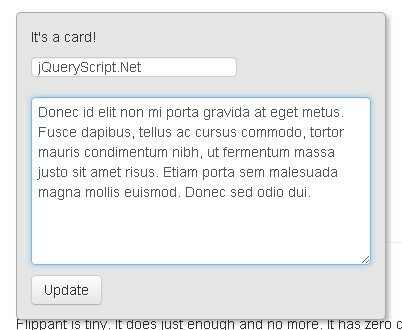 Yet another jQuery plugin that makes it easy to flip an Html element like a card using CSS3 transition, transform, front and back properties. 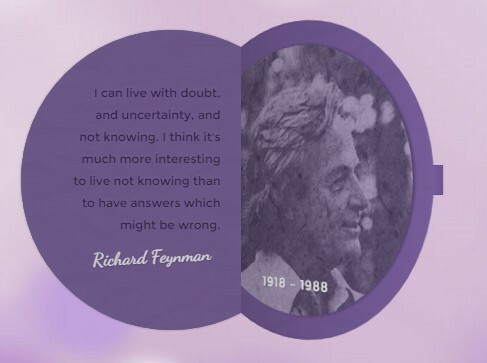 Flip Quote is a jQuery plugin designed for flat design that creates a pull quote from a text quote found in the document and flips to reveal the quote once it's scrolled into view. 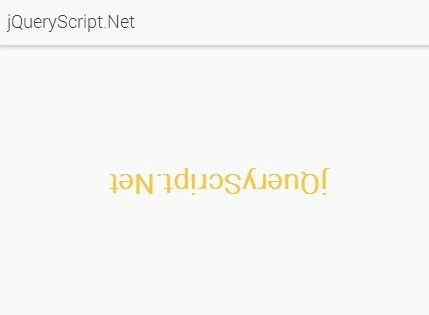 Text Rotator is a super tiny jQuery plugin used to sequentially or randomly rotate an array of text with 3D flip effects based on CSS3 transition, transform and perspective properties. 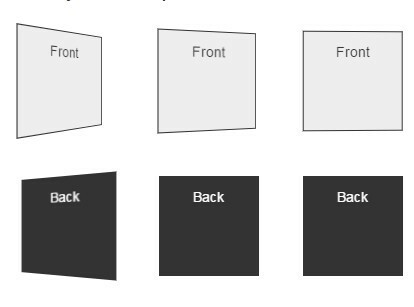 Flipper is a jQuery plugin that makes use of CSS3 transform and perspective properties to flip an Html element and reveal the content on the back. 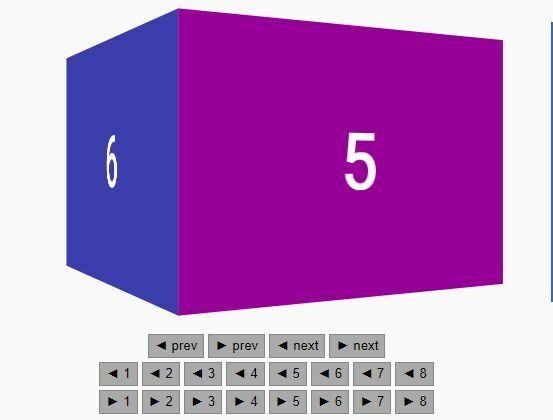 Timecube is a fancy jQuery timeline plugin that allows you to navigation through JSON based events by mouse or touch swipe in an animated 3D cube interface based on CSS3 perspective, transition and transform properties. 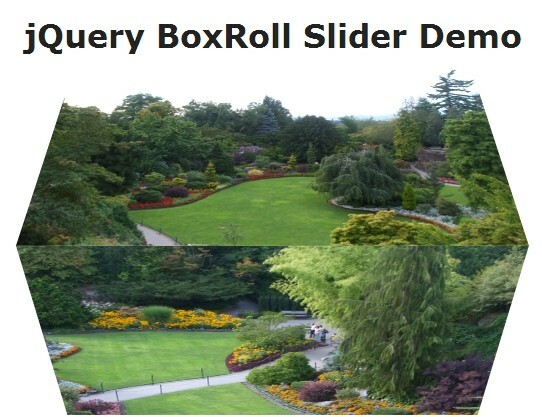 BoxRoll Slider is a slideshow plugin for jQuery that uses CSS3 transitions, transforms and perspectives to create a responsive image slideshow with 3D box flipping/rotating animations. 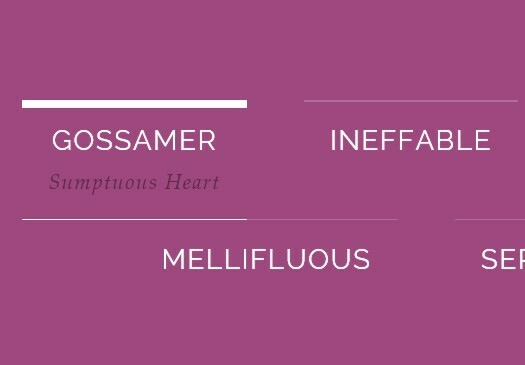 flippy is a jQuery plugin used to add a super simple rotating text to your webpage with an interesting text flip effect. 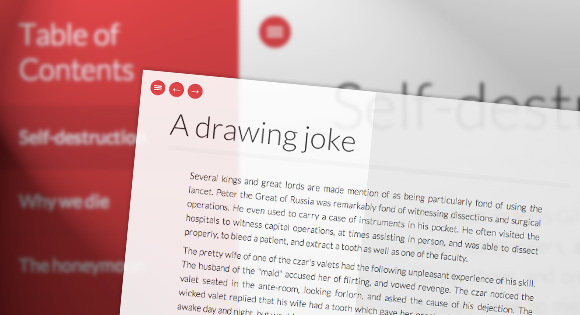 Flipping Text is a jQuery animation plugin to create text flip animation for your typography. 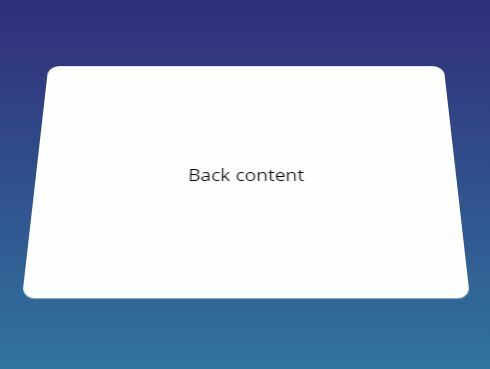 Tip Cards is an awesome jQuery plugin inspired by Google Tips that helps you create an animated & responsive web layout with amazing flipping effects based on CSS3 transitions and transforms. 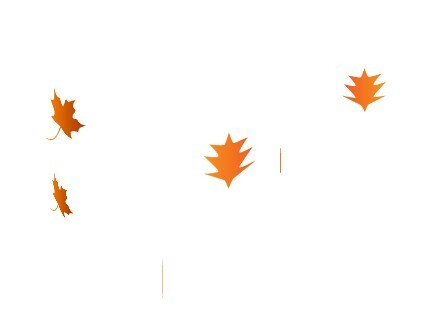 An amazing jQuery plugin which makes use of CSS3 transforms to create falling leaves with 3D flipping and rotation effects on your web page. 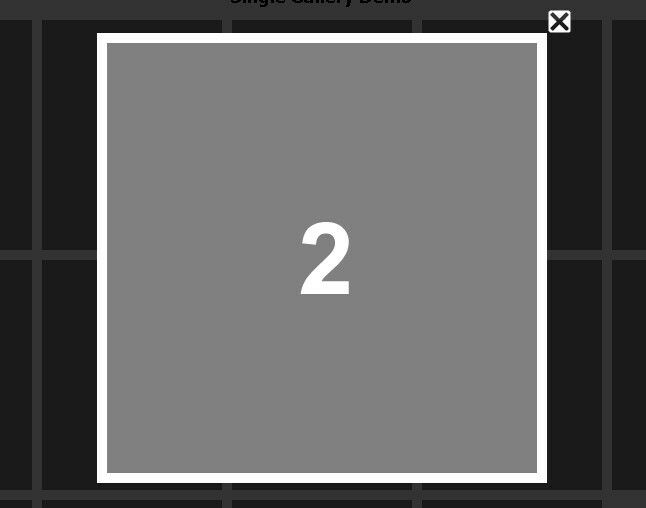 An easy and fancy jQuery plugin that makes use of CSS3 transitions and transforms to create a 3D galley with awesome flipping animation. FlipPhone is a fancy jQuery plugin that converts the alphanumeric numbers into digits with CSS3 flip aniamtions. 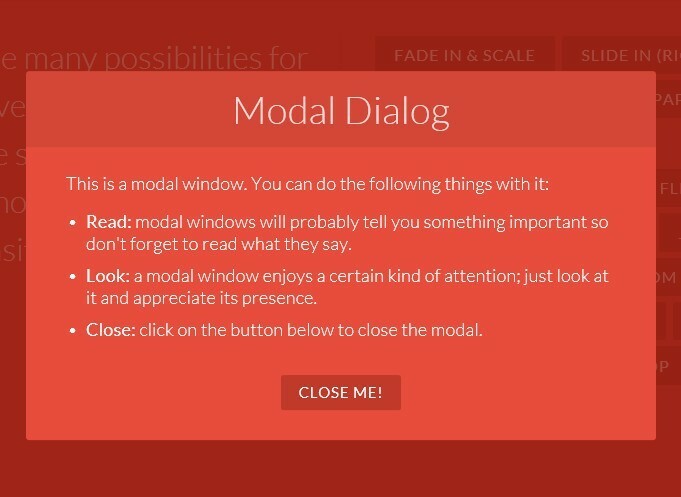 In this tutorial written by MARY LOU we're going to create Pretty Modal Window Effects with javascrtipt and CSS3 Transitions & Animations. 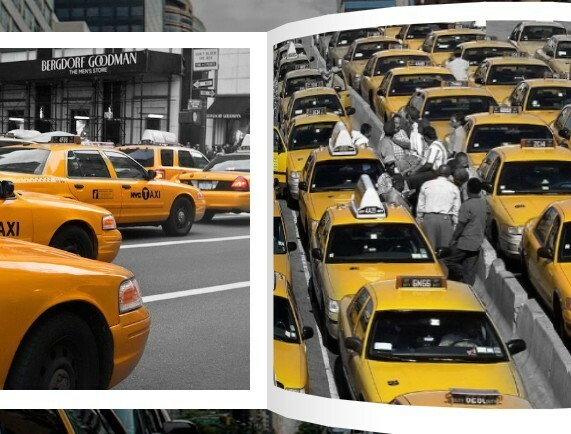 BookBlock is a Content Flip Plugin built with jQuery that allows you to flip any content like in a booklet. 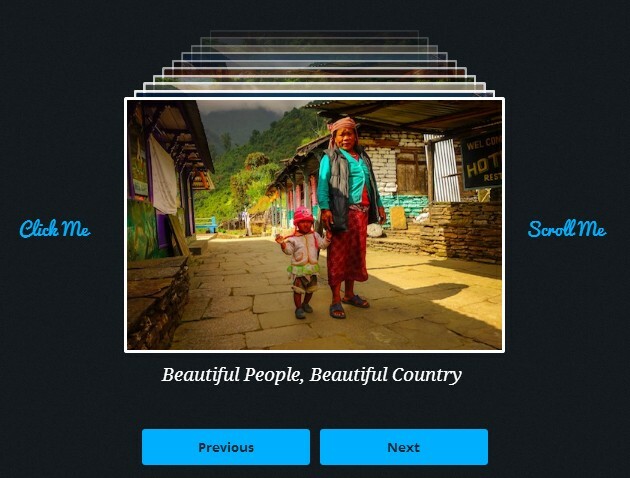 heapshot is an awesome jQuery gallery plugin that displays a group of stacked images with flipping, easing and rotation animation effects. 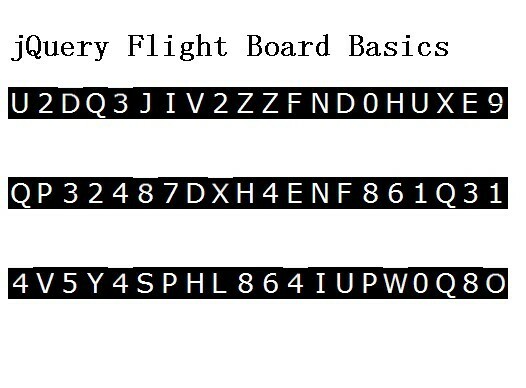 flightboard is an extremely simple and easy jQuery text effect plugin that displays text in a circle like airport flight board animation effect. 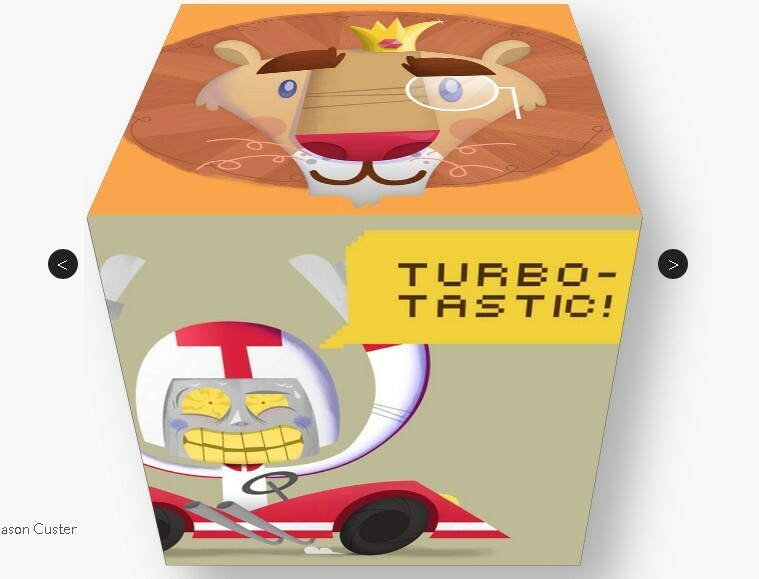 Animelt is a lightweight and awesome jQuery plugin that allows you to run complex transform animations on your web page. 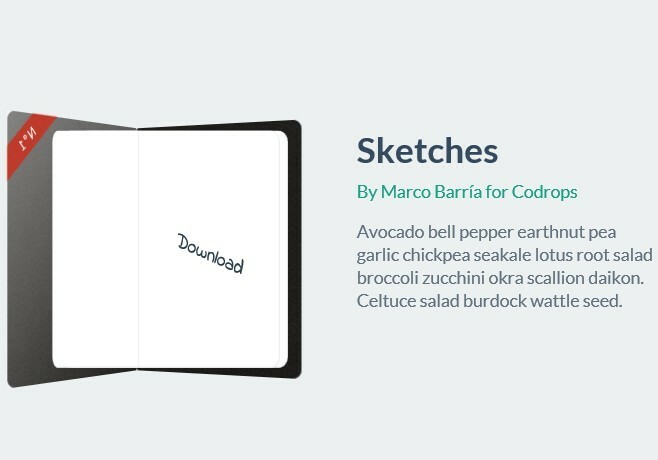 A book showcase using CSS3 3D Transforms and other some fun effects (rotating, flipping and opening ...) that makes books look more realistic. 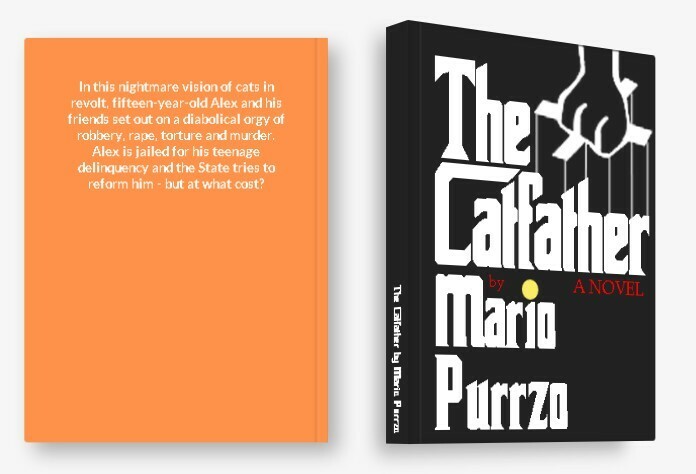 A Fullscreen Pageflip Layout built with BookBlock Plugin. 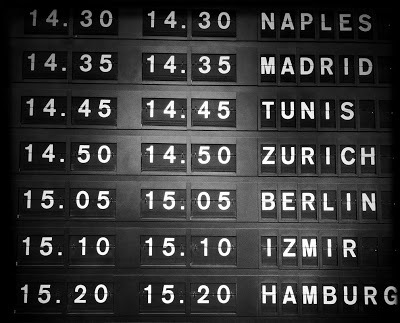 A awesome text effect plugin with jQuery, which emulates the style of those flickering information boards you sometimes find on airports and train stations.